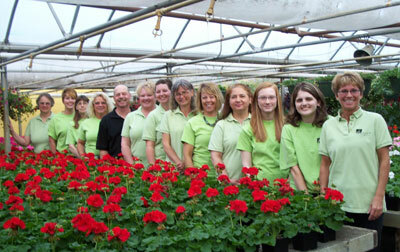 Hrnak’s Flowers & Gifts is in the top 2% of florists nationwide and is celebrating over 80 years in business. We grow "Proven Winners" products in our garden center. To help assure on-time delivery during the busy holiday season, place your order at least 24 hours prior to the following major holidays: Thanksgiving Day, Christmas Day, New Year's Day, Valentine's Day, Easter, Administrative Professionals Week, Mother's Day, Memorial Day, Father's Day, Independence Day and Labor Day. Hrnak’s has over 20,000 square feet of greenhouses and 9,000 square feet of floral showrooms filled with an extensive selection of green plants, blooming plants, garden plants, and fresh flowers as well as gifts and home décor galleries. We provide 24 Hour Phone Service with fully trained floral consultants at (800) 566-6460. We are the only florist in Oshkosh that grows their own product. If you have any questions or need more information, please contact us by e-mail at hrnaks@yahoo.com or call us directly at (800) 566-6460. All local deliveries have a $11.99 delivery charge. Any orders for same day delivery after 2.30 p.m. please contact shop directly for details. All deliveries that are out of the area will be charged $19.99 for delivery and wire fee. We are unable to make deliveries on Sunday, except funeral work or special events. Orders requesting delivery on this day will be delivered the following business day. Deliveries of orders to rural route addresses or cemeteries cannot be guaranteed without proper street address.